This will be a working session so bring your Laptop/Digital Device on which you wish to create and get ready to dive into our relevant marketing topics. Strategic marketing identifies and utilises an organization’s competitive advantage in its current and future markets, to determine the best resource allocation and activities – to create mutually beneficial value for itself and its customers. 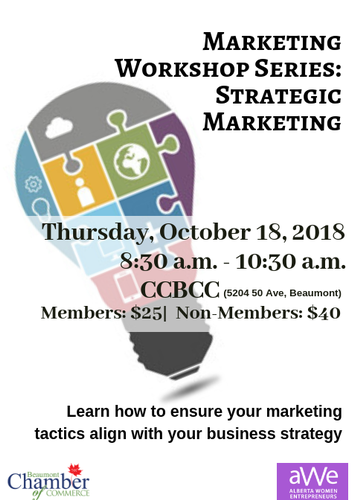 This workshop uses a participative approach to learning, through a blend of marketing frameworks, case studies, and best practices – which will help produce a solid marketing strategy for business growth. ​We will provide water, coffee, tea and a light snack for those who need a quick boost of energy and hydration. Jenifer Horvath is passionate about supporting women to achieve their goals, in their own way. Jenifer works at Alberta Women Entrepreneurs (AWE) as a business advisor and coach helping Alberta women start, build and scale their businesses. When she’s not at AWE, she runs her own business, HeartLifted, coaching moms to move from surviving to thriving. She has over 20 years of marketing, product management, management consulting, and coaching experience. 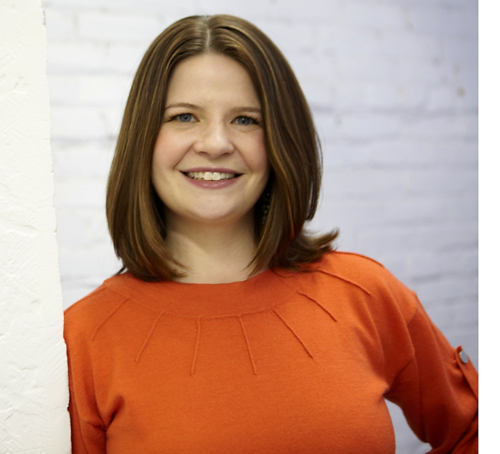 She’s worked with international organizations like Playtex, Campbell Soup, and EPCOR; Alberta-based organizations like Alberta Motor Association, Alberta Milk, SAIT and Edmonton Economic Development; and many small businesses and start-ups. Having developed and implemented many strategic plans, she offers high-level insights as well as executional discipline. NOTE: Pease arrive 10-15 minutes early so you are ready for the workshop to begin promplty at 8:30am.